Today there is a lot of discussion surrounding the pending Department of Labor Fiduciary rule as it applies to retirement accounts. It is unclear if the new administration will try to influence the timing or cancel the rollout. The intent behind the rule is to make sure investment advice is in the best interest of clients when discussing retirement accounts such as an IRA or 401(k). I cannot judge how many advisors already provide advice at the fiduciary level, but I do know a lot of excellent advisors. In my own practice, I provide advice at the fiduciary level for all types of investment accounts no matter the eventual outcome of the rule. Furthermore, my fee structure is designed so that it doesn’t matter where a client holds their retirement assets. So, what if you have left your job and are now faced with an IRA rollover decision? My goal is to provide some general education regarding the pros and cons of a rollover. It is meant for anyone, whether you are working with an advisor or you do it yourself. This information should serve as a baseline for further reading or discussion when faced with a rollover decision. 401(k) plans often have a poor reputation. It is true that many offer a limited number of investment choices and the investment expenses can be quite high. If you find yourself in one of these plans and are still employed, then please contact your human resources representative to see if the plan can be improved. However, if you have left your company you now have the option to roll your 401(k) into an IRA account held at a custodian of your choice. But you should consider whether it really is in your best interest to rollover the funds. One advantage for keeping your funds in a 401(k) plan that is not always considered is penalty free withdrawals. Individuals who separate from their company at age 55 or later can typically withdraw their funds without being subject to the 10% early distribution penalty. 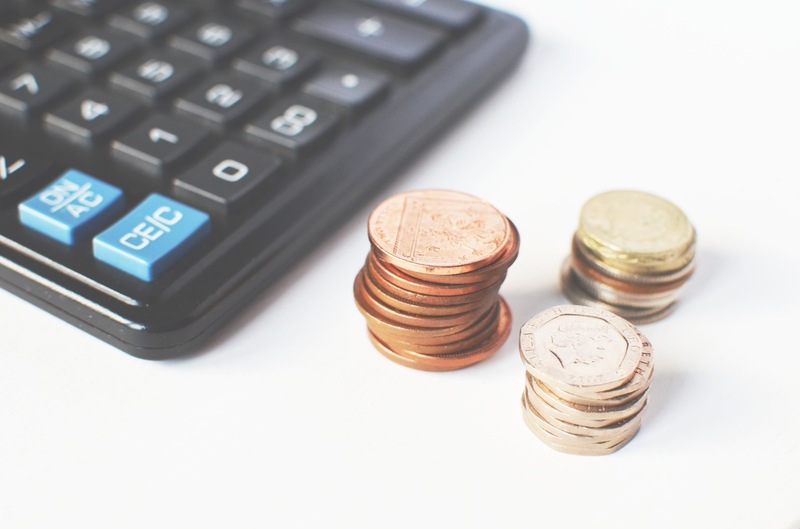 This could be extremely important to someone who is not yet 59 and ½ and needs to withdraw funds to meet living expenses. A 10% penalty on your withdrawal is nothing to ignore. Another advantage is that your 401(k) may offer a selection of funds that allow you to invest in a well-diversified portfolio at a reasonable cost. This is especially true for Federal Government employees in the Thrift Savings Plan which is the government 401(k) equivalent. The TSP offers low cost index funds that allows you to invest in a globally diverse stock portfolio. Some companies also provide access to financial calculators and investment advice through their 401(k) plan. This could be reason to keep your fund in the plan if you find the services useful. I have already touched on a few negatives for leaving your funds in a 401(k) plan. The investment options might be limited preventing you from investing in a well-diversified portfolio. The fund costs can also be high and the technology may be a bit lacking. I have seen many 401(k) web sites that are very difficult to use and locate information. It seems like an easy choice to move your funds to an IRA if you are seeking more investment freedom. IRAs held at the major custodians offer an almost infinite choice of investments including stocks, bonds, ETF’s and mutual funds. You also have the freedom to seek out low cost fund options. I recently reviewed a target date fund in a 401(k) plan where the expense ratio was just under 1%. A comparable fund that could be purchased in a rollover IRA was just under .20%. As a hypothetical example, rolling a $500,000 401(k) into an IRA and investing in the lower cost fund could yield a savings of approximately $4,000 a year. You may be able to split any 401(k) pre-tax and after tax contributions when you initiate a rollover. This allows you to move pre-tax contributions to an IRA and after tax contributions to a Roth IRA as part of a long-term retirement strategy. If you have former company stock in your 401(k) with significant gains you may be able to realize some tax-related rollover benefits using an IRA in conjunction with a taxable brokerage account. There is a concept referred to as Net Unrealized Appreciation. 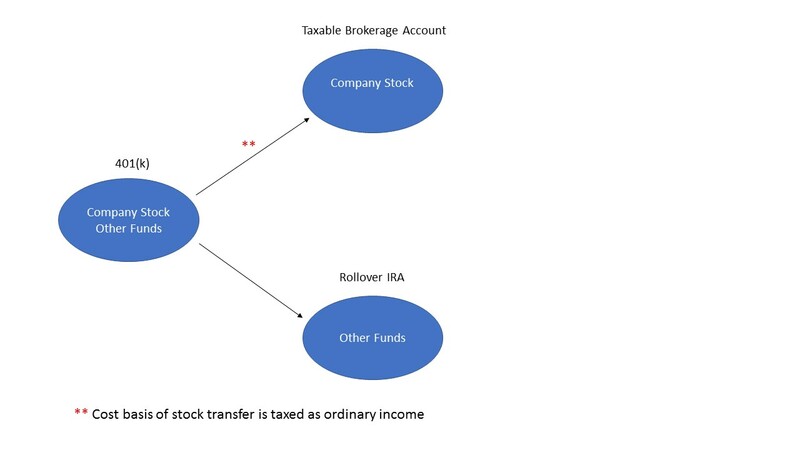 The general idea is that you initiate a transfer of the stock to a taxable brokerage account. All remaining 401(k) funds are rolled over to an IRA. Splitting your 401(k) rollover between Traditional and Roth IRA accounts and Net Unrealized Appreciation are more advanced strategies. You should seek professional advice or do a lot of reading before moving forward. They both involve the careful review of tax implications. A final consideration is simplicity, especially if you have many 401(k) plans still out there from former employers. Now might be a good time to consolidate your accounts into one IRA for more efficient investment and retirement withdrawal oversight. There are a few downsides to consider before initiating your rollover. A rollover may complicate current Roth IRA conversion strategies. For example, an individual may have a traditional IRA with after tax dollars that they are converting to a Roth IRA. Rolling a pre-tax 401(k) into the same, or even new traditional IRA account, will increase the tax burden of the conversion. If you are not careful, you could wind up in an IRA investment strategy using funds that are even more expensive than the 401(k) plan you left. Or you could wind up in a high cost annuity that may not be appropriate for your situation. This is especially true if you are seeking investment advice not held to a fiduciary standard. It is beyond the scope of this blog to provide you with a financial decision. However, I leave you with the three most important criteria to consider before initiating a rollover. Investment options. Can you implement a diversified low cost portfolio using your 401(k) funds? Fund expense ratios. Are the 401(k) fund costs reasonable? Type of contributions. Do you have both pre-tax and after-tax contributions in your 401(k)? Please make sure to review your situation with the appropriate financial and tax professionals. Take your time so that you can make an informed decision. After all, this is your hard-earned retirement portfolio and should be handled with care.